Locally made, direct to you. Laminate flooring has recently been put in the spotlight for issues involving overseas manufacturers and growing concern for safety in the home. Due to this, manufacturers are increasing their testing, improving the construction of their products, triple checking their compliances and putting it all out there for the world to ensure their products are safe for the whole family. 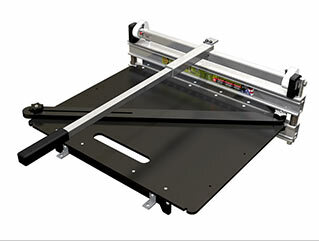 Laminate flooring from FlooringInc.com is tried and true, tested and compliant with these laws. 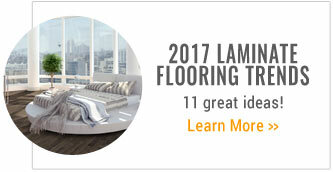 Laminate flooring is a fantastic flooring option that has attractive styles, is made durable, and construction technology that is getting better every year. 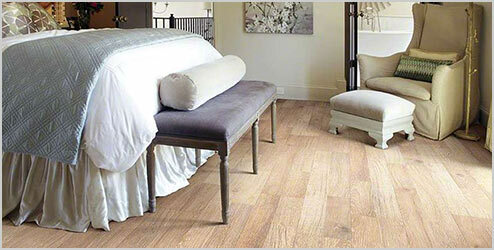 Laminate flooring is offered in a variety of styles and colors and provides you with a low cost flooring alternative to standard wood or stone. 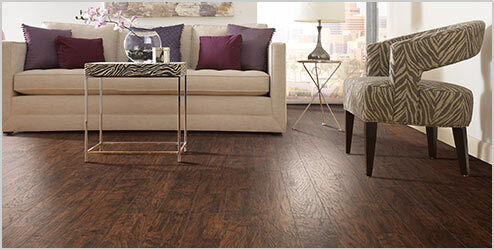 Featuring moisture resistant cores and a melamine wear layer, our laminate flooring options are certain to withstand even the harshest of environments. 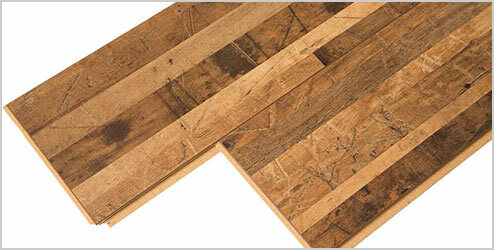 Easy to install and maintain, these flooring planks are a great flooring option for both home and commercial use. Backed by long warranties and resistant to staining, wearing and fading, we are certain you will find the perfect laminate floor option for any room in your home. 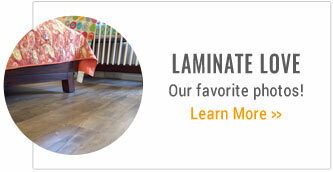 Laminate is increasingly becoming the go-to flooring for families and businesses. Core Layer - Just underneath the print layer, this gives the floor its durability and stability. This layer is typically made of compressed high density fiber board (aka HDF) and is resistant to water, but not necessarily waterproof. This is essentially the hearty “meat section” of the floor. Backing - This layer also helps provide stability for the floor and can help to keep water from penetrating the flooring from underneath. This would be your bottom piece of bread that wraps it all up. Laminate flooring products come in different thicknesses, but this is not always a tell-tale sign that is relative to the flooring’s durability. 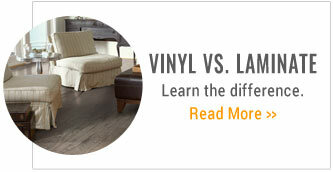 Like a bag of carrots, there always seems to be a nasty one in the bunch, and the same holds true for laminate flooring. 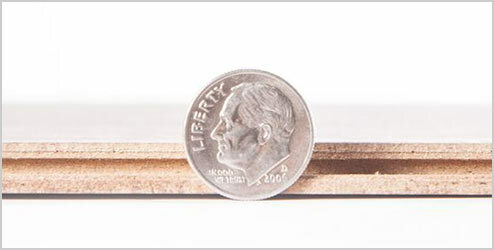 There are some thinner laminates whose durability may surpass that of a thicker plank and vice versa: there are some thick laminates that are less than impressive and leave something to be desired. 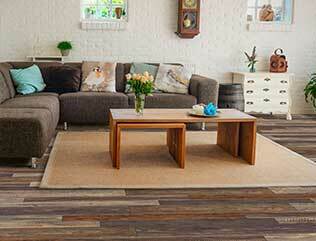 Typically, the thicker the laminate floor, you’re more likely to have a natural wood sound underfoot. 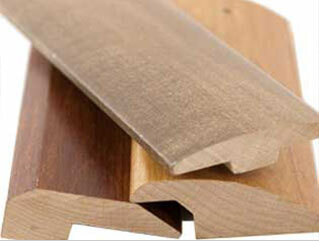 For durability, be sure stick with products that have higher ratings and better construction. In order to enhance the look of your print layer, laminate flooring planks often have some surface detail to further mimic a natural hardwood look. 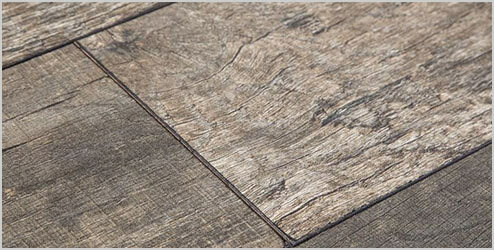 Planks can have the look and feel of a hand scraped hardwood, embossed wood, distressed hardwood, but even come in textured or smooth. What you choose is just matter of opinion, as the surface detail does not change the durability or longevity of the floor - it simply helps to continue fooling your friends to believe it’s real hardwood flooring. 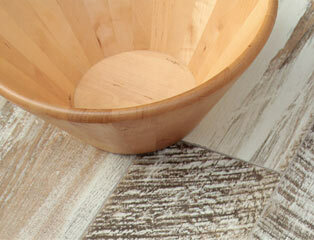 The wood grain look of laminate flooring has been what it is known for, for many years. 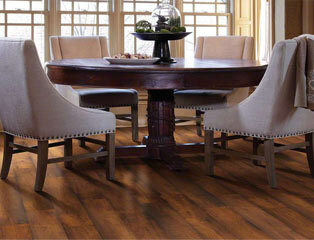 Laminate floors replicate the look of wood while being easy to install, clean and maintain compared to wood. 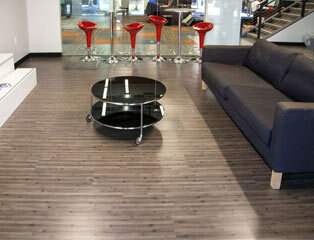 As technology has improved, so have the print possibilities and the range of beautiful floors that are available. A recent trend for laminate is the stone look laminate plank which has been designed to mimic the look of (you guessed it!) natural stone floors! Real stone floors are incredibly expensive, time consuming to maintain, and are really cold underfoot. With laminate stone options, you still get the same rich look of a natural stone floor, but it costs less, takes less time to maintain, and provides greater warmth underfoot. Laminate flooring is designed to be installed as a floating floor, meaning that it is not secured to the ground underneath, but rather “floats” by the means of an interlocking design. Each plank is constructed with a special locking mechanism so that it can be inserted into surrounding planks and “locked” together. This process is easy and typically done by our customers of all DIY levels. 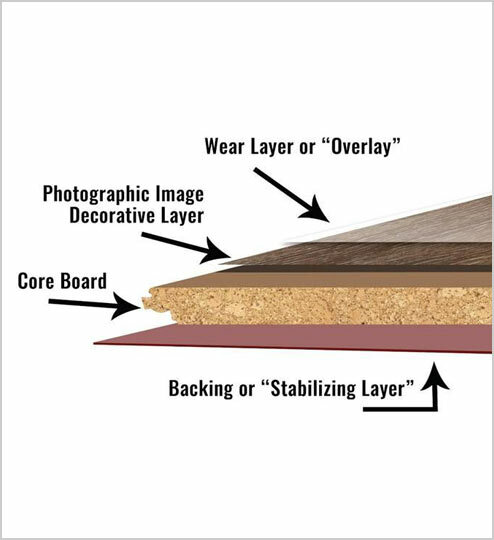 No matter what type of subfloor you are putting your laminate planks over, it is always important to consider using an underlayment with th floor. 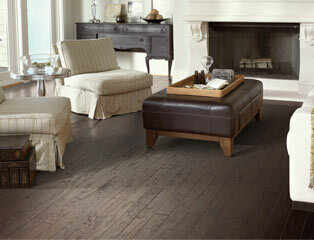 Underlayments are great for many things, including adding warmth underfoot and reducing noise transmission. Some underlayments even include a built in vapor barrier which is needed in any space where moisture may be present, and can save you money and time from having to purchase these separately. 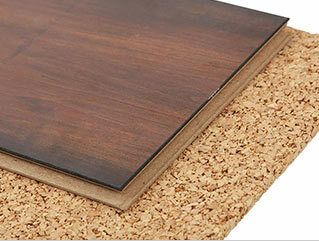 Foam and cork underlayments are perfect underlay solutions for use with laminate floating floors. 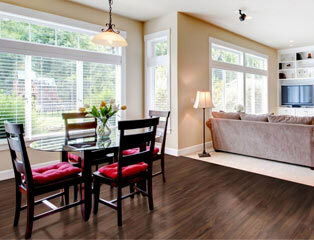 Laminate flooring is a booming flooring category for a variety of reasons. If you should have any further questions, comments, or concerns, please do not hesitate to contact one of our friendly Product Heroes at (866) 416-6388.